Modern families are defined in all different ways. Stay-at-home dads take their full-time parenting gigs seriously, helping their kids understand that fatherhood doesn't have to mean going into an office each day. 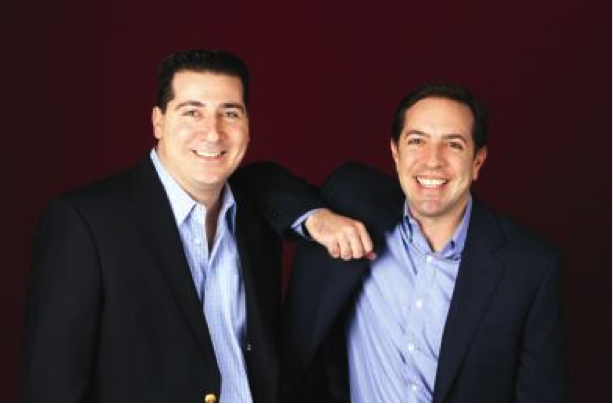 Lance Somerfeld and Matt Schneider are the co-founders of the City Dads Group. Both men are at-home dads who started the City Dads Group when they realized resources for stay-at-home dads were few and far between. While maintaining their roles as their children's primary caregivers, Lance and Matt have worked together to build the City Dads Group into a network of over 1,000 fathers staying at home with their kids. The network offers in-person meet-ups and support as well as providing a strong resource and support base online. Matt thinks the best part of staying home with his kids is being there for the small moments in their lives. He says, "Being there at their school, being part of their school community, seeing them learn how to play violin or even going to soccer practice. I get to know their teachers, coaches and really be there. That's a real privilege." and this is what drives me to be a better parent. Lance believes his time at home has made him a stronger parent. He says, "The wonder through my son's 5-year-old eyes and countless stream of questions that come up have given me a refreshing, new perspective. I'm able to reflect and see things through his eyes, and this is what drives me to be a better parent." Dads staying home might seem non-traditional, but both Matt and Lance feel like they've been lucky not to have experienced many negative reactions to their stay-at-home dad roles. Lance says he feels like he has the opportunity to share something with people who are unsure how to react to his presence in his kids' lives. He says, "I'm confident in my role of being the primary caregiver, and I'm fortunate to spend so much time with my son. Some people have questions about it, so I find myself educating people and telling them how proud and happy I am with my role, rather than dealing with negative, derogatory comments." Matt talks a little about how dads in less diverse cities encounter more pushback, simply because they're stepping into a role traditionally seen as a mom's. He finds that the stereotype of incompetent fathers is played for laughs in the entertainment business. He says, "Negative stereotypes also come up in the media where we see most dads — not just at-home dads — in TV shows or movies shown as bumbling idiots, incompetent or even dangerous, and that hurts what dads are all about." Lance's advice for stay-at-home dads is to find a support system. He says, "As a new parent, those first phases challenged me — when my baby was being introduced to solids to potty training to climbing out of the crib — and brought me to my wits' end. It has been so amazing to have this group of veteran guys I could lean on that had already been through it to get their perspective and tell me it's just a phase, and 'this too shall pass.'" New mom groups are fairly common, but dads may have to be more creative in finding support. If there aren't any dads' groups in your city, consider going online for support or even trying to start a group in your area. Matt talks a little about exploring interests outside of the home, which he did with the City Dads Group after being at home for three years. He says, "You need something separate from your family so that you can keep your identity outside of being a dad. For me, I feel like a stronger person when I have some other endeavor — and that's the NYC Dads Group. It was important to me to have something else to hang my hat on and be something other than Max and Sam's dad." Finding that balance between parenting and outside interests is something to which all parents can relate — regardless of their working status.